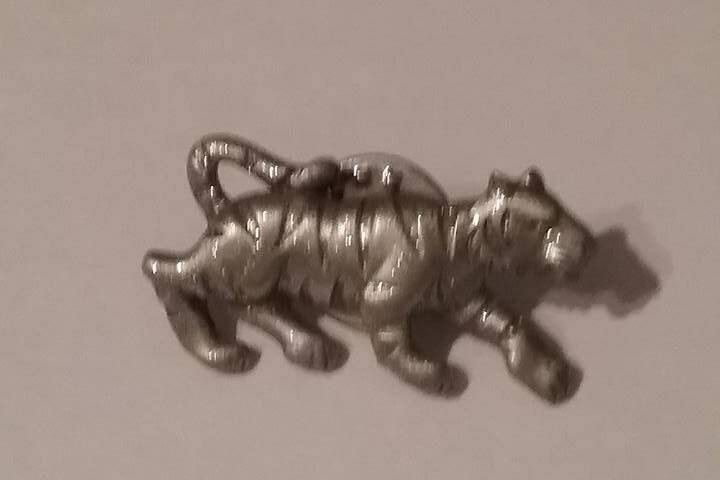 Signed tiger pewter tie tack, JJ Jonette silverish and pewter tiger, tie tac or pin. 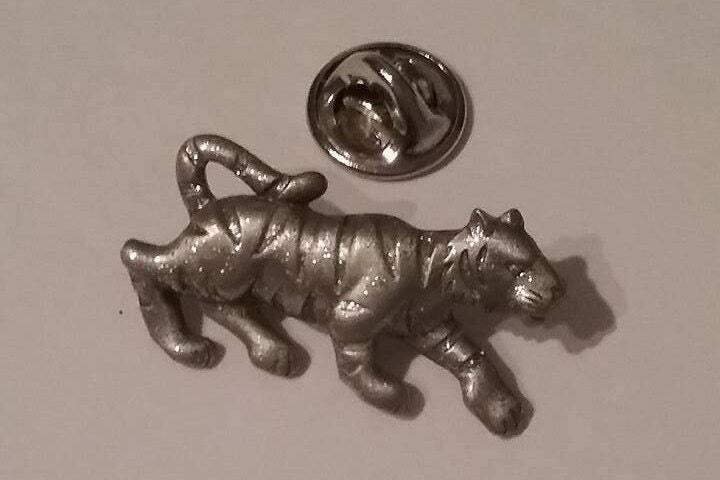 1.25"wide x .75" high. JJ trademark began in 1970, and in 1986 was registered, Artifacts, mark. 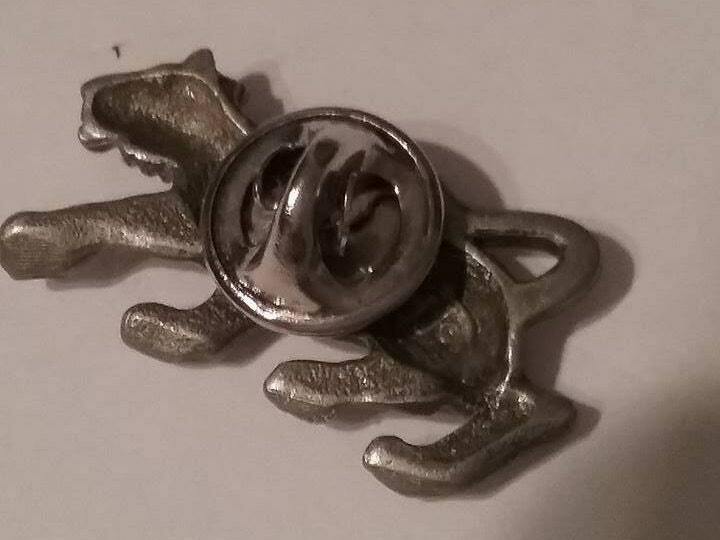 Pewter with silver shining flecks. 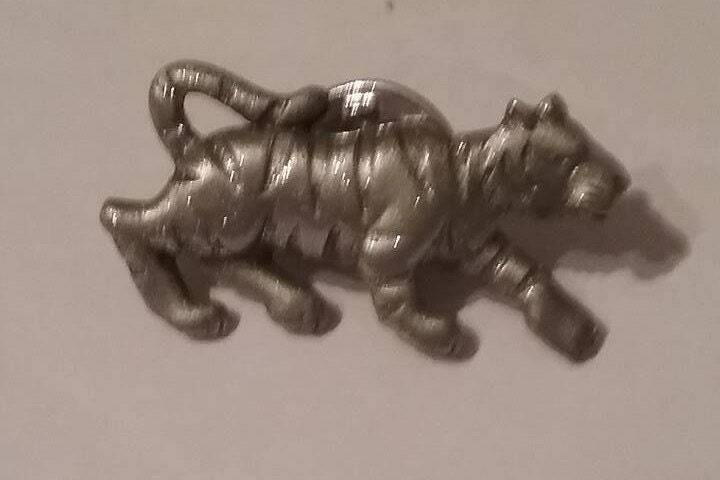 This prowling tiger is in excellent vintage condition.